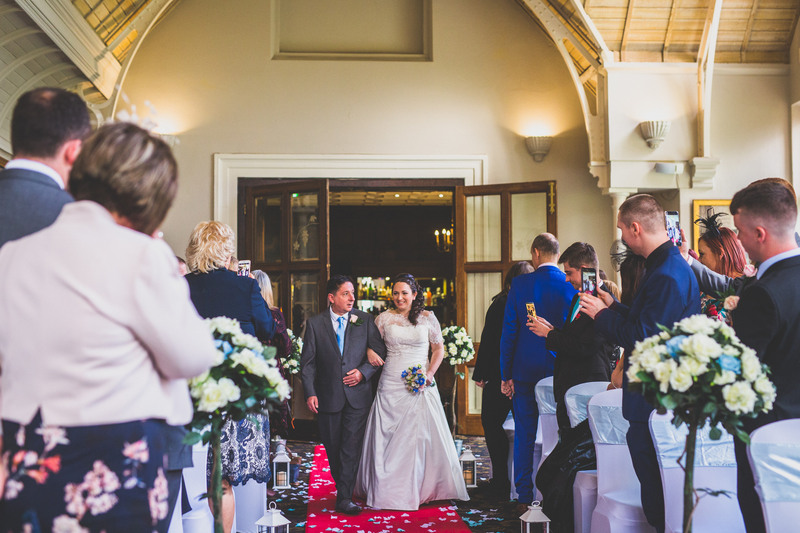 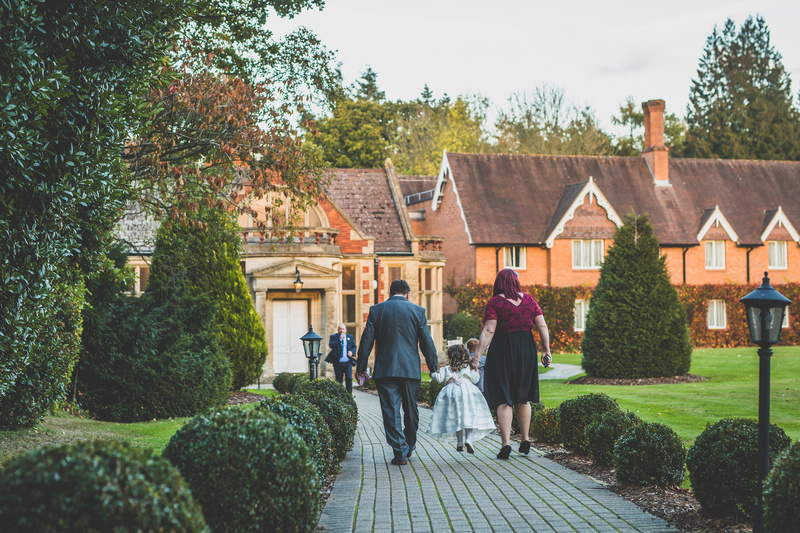 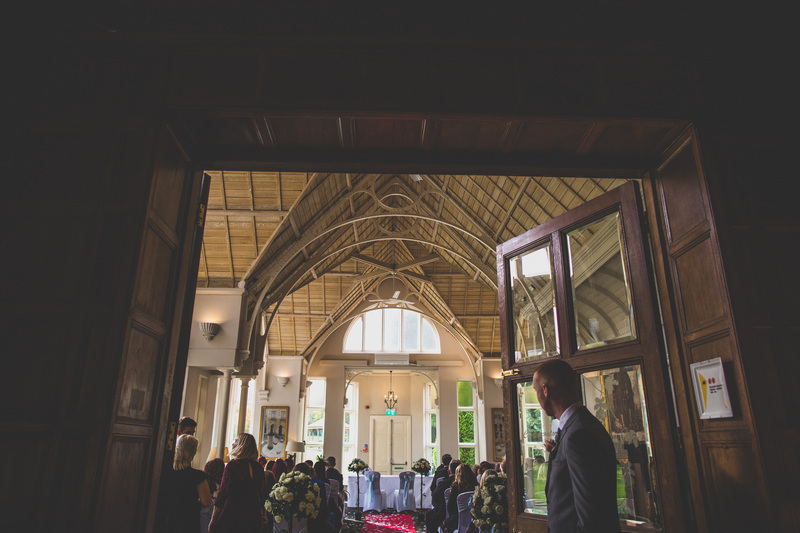 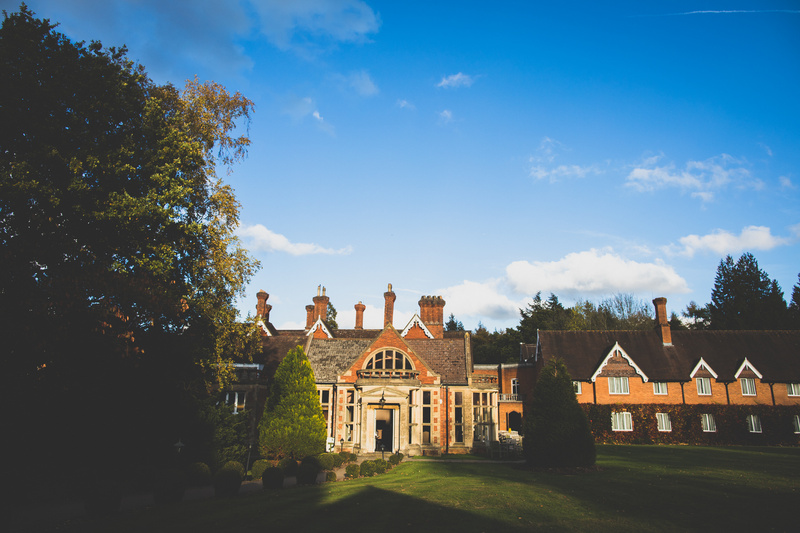 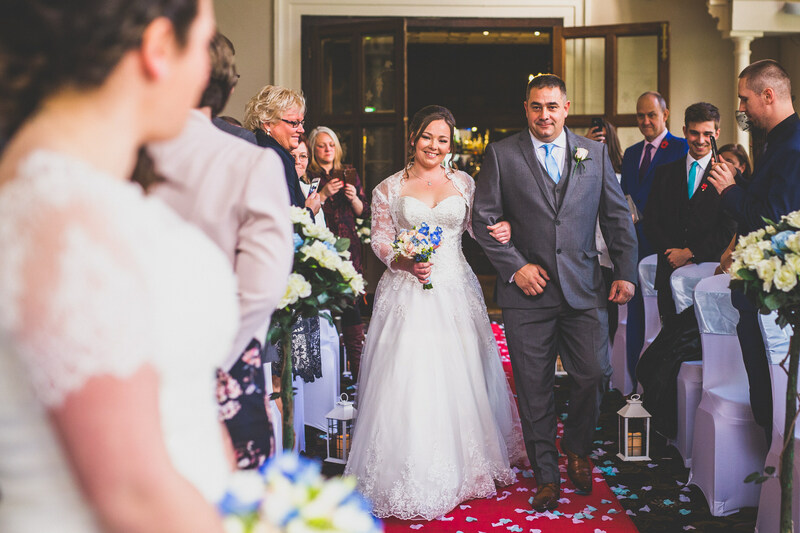 I can’t wait to show you this beautiful wedding at Audleys Wood Hotel in Hampshire, a Neo Gothic Renaissance mansion built in 1880. 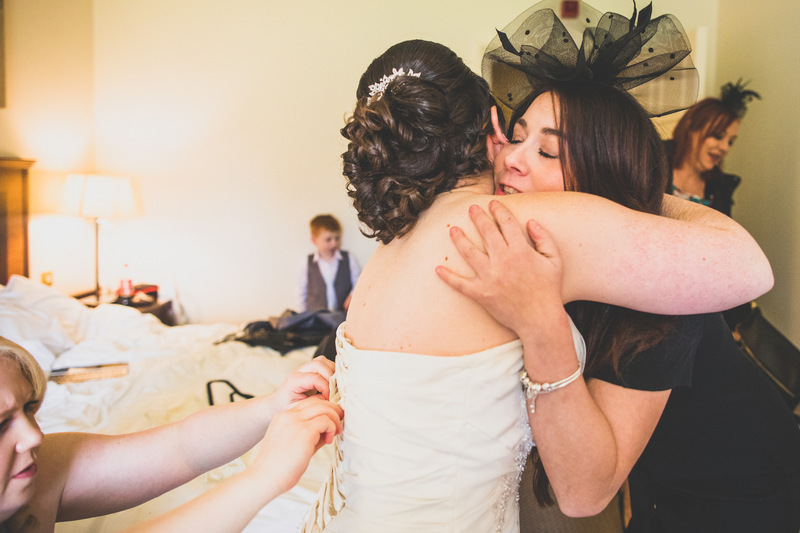 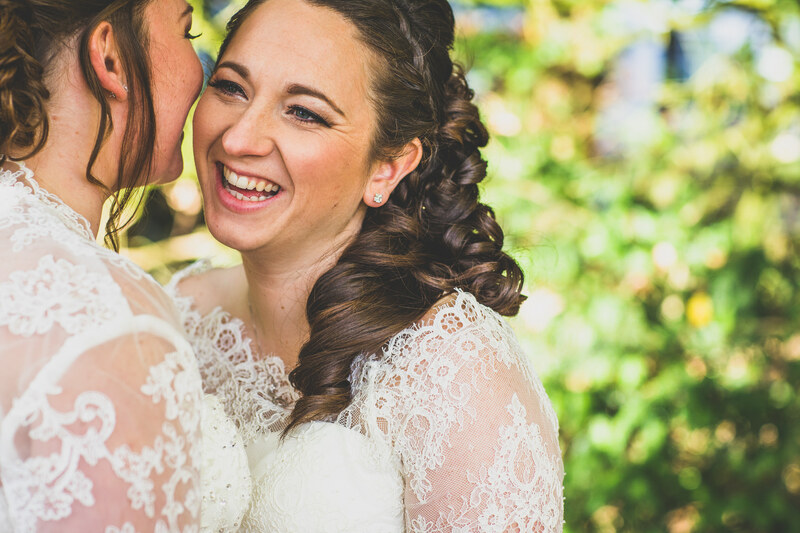 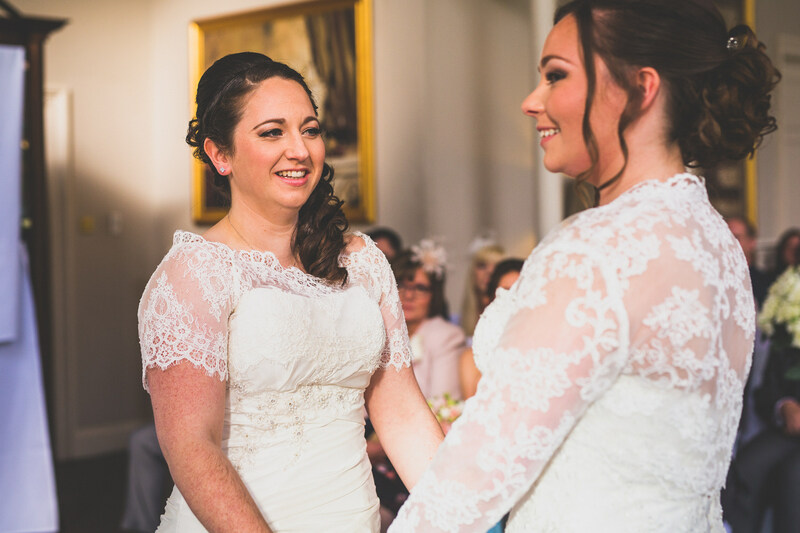 When Stacey and Kellie first met they quickly became the best of friends which soon developed into more. 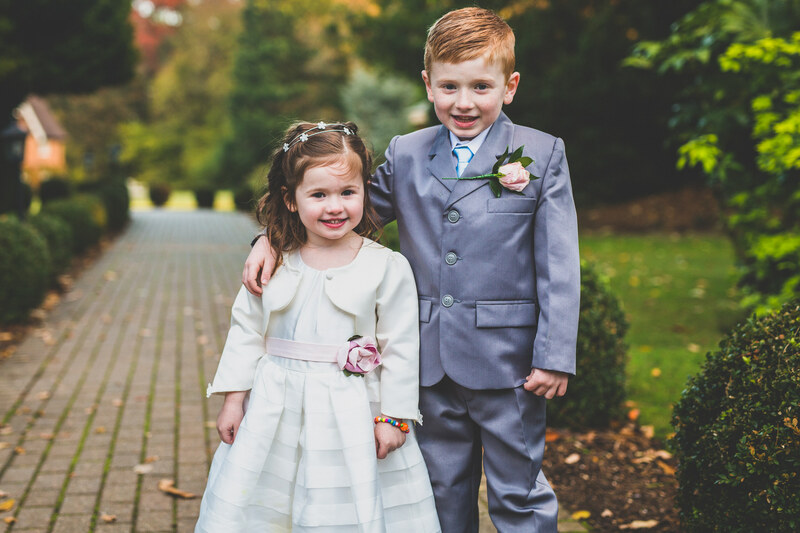 They are now a wonderful family with two adorable children. 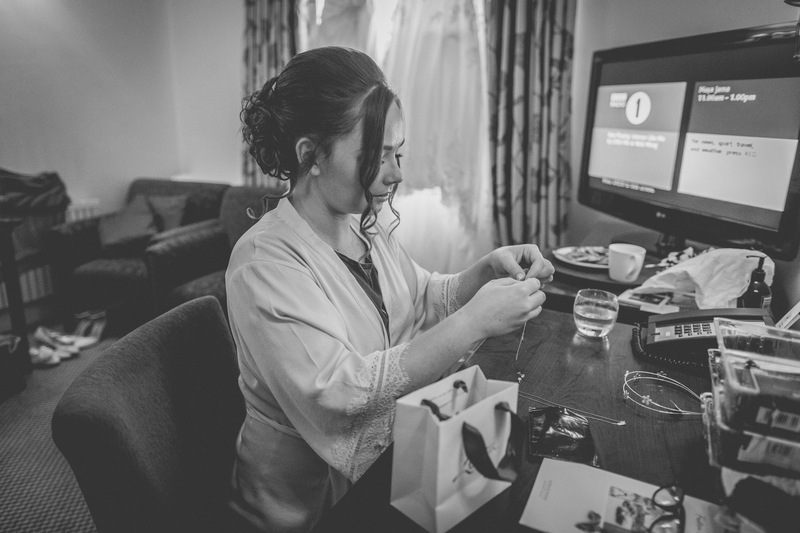 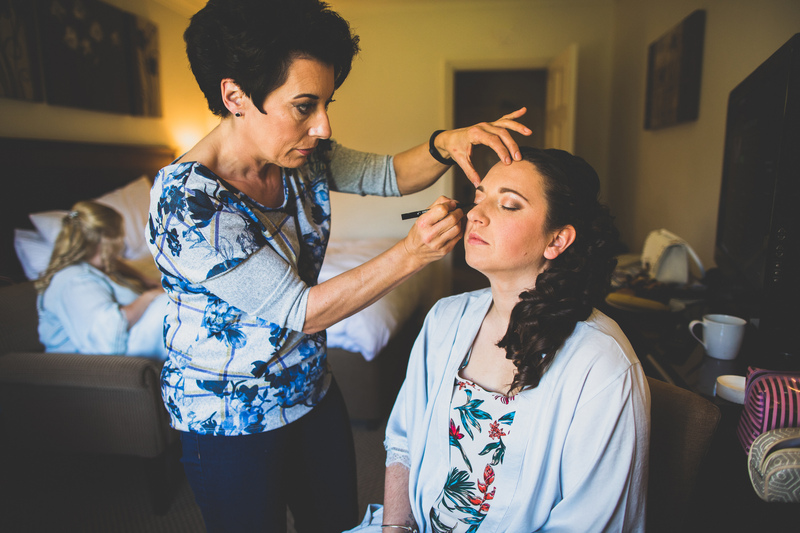 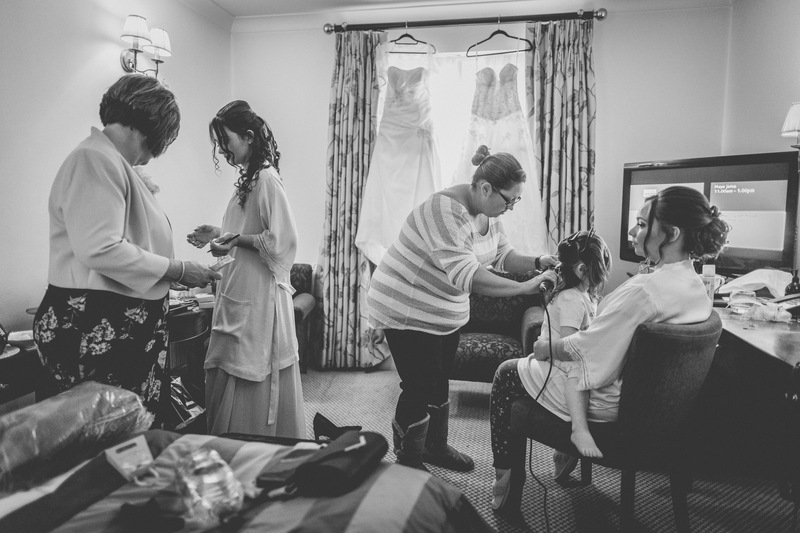 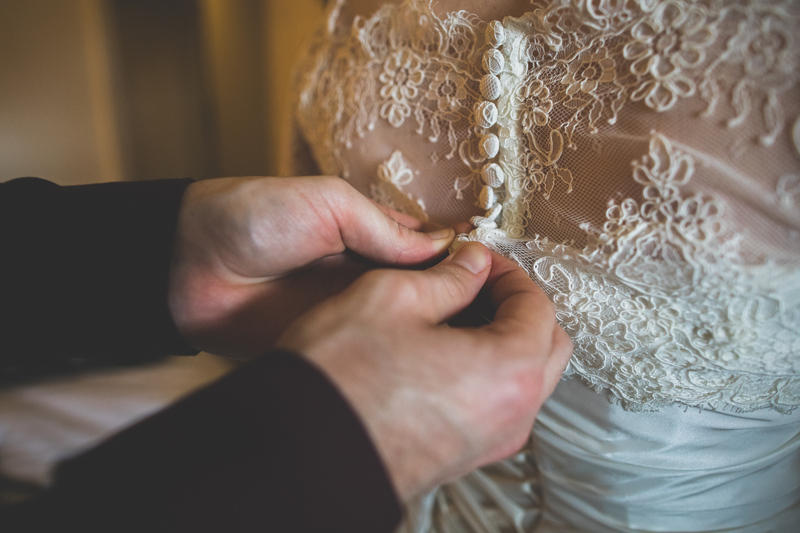 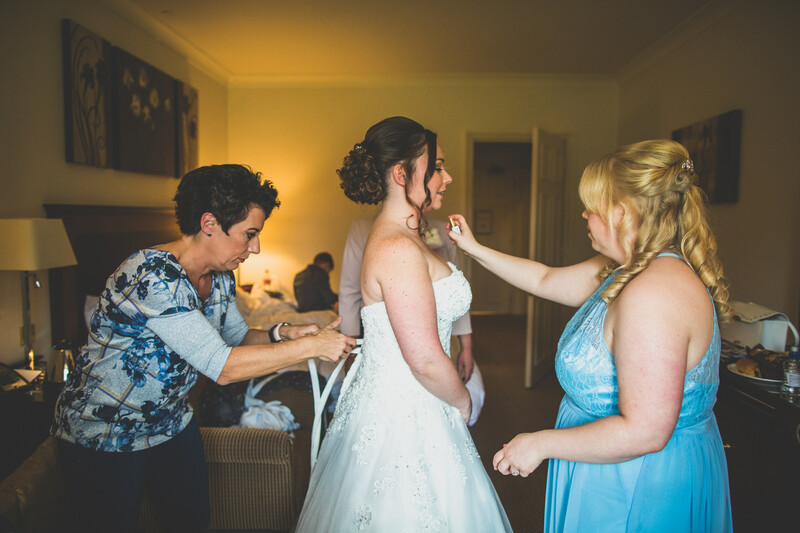 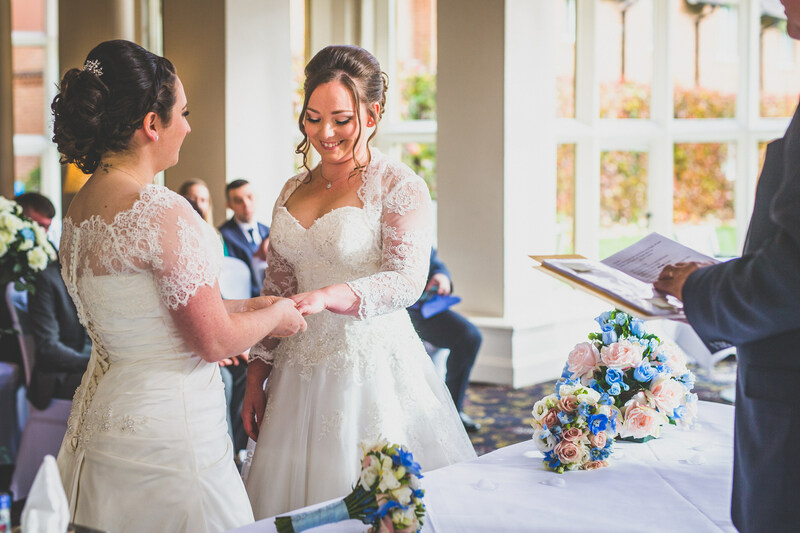 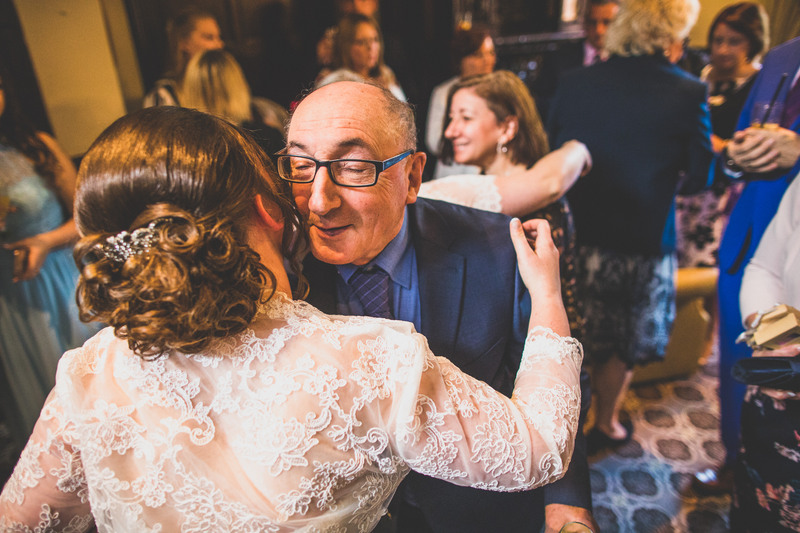 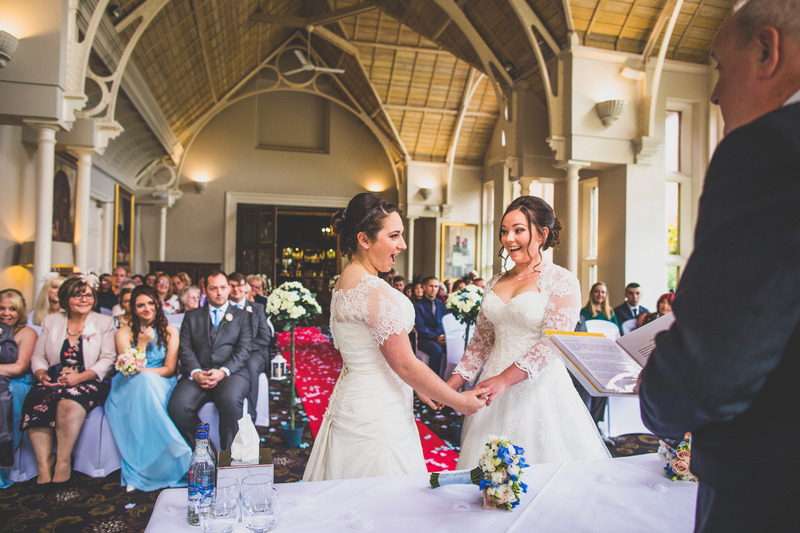 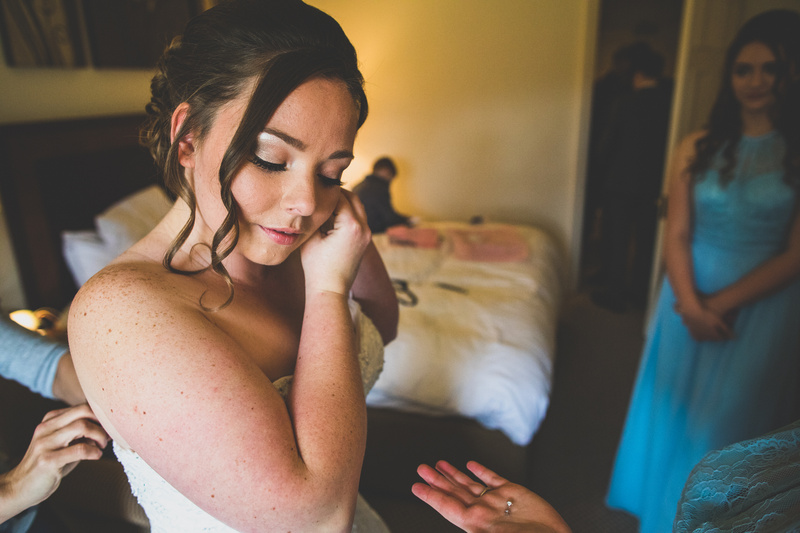 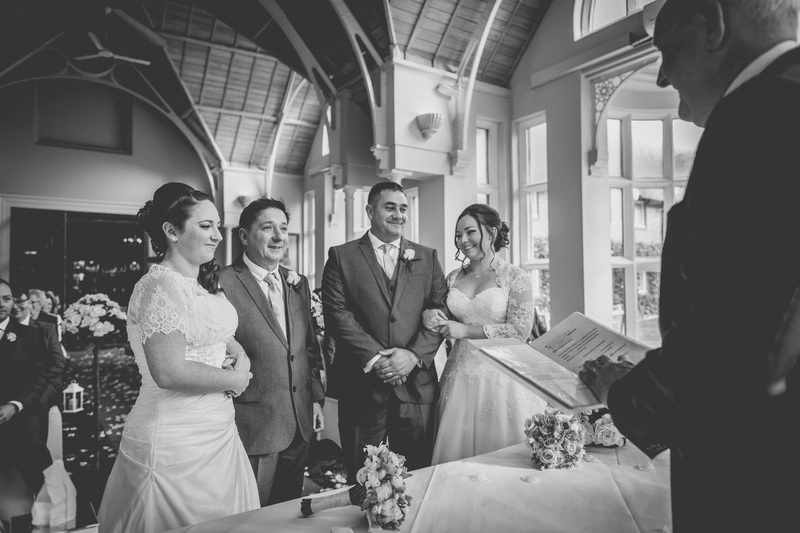 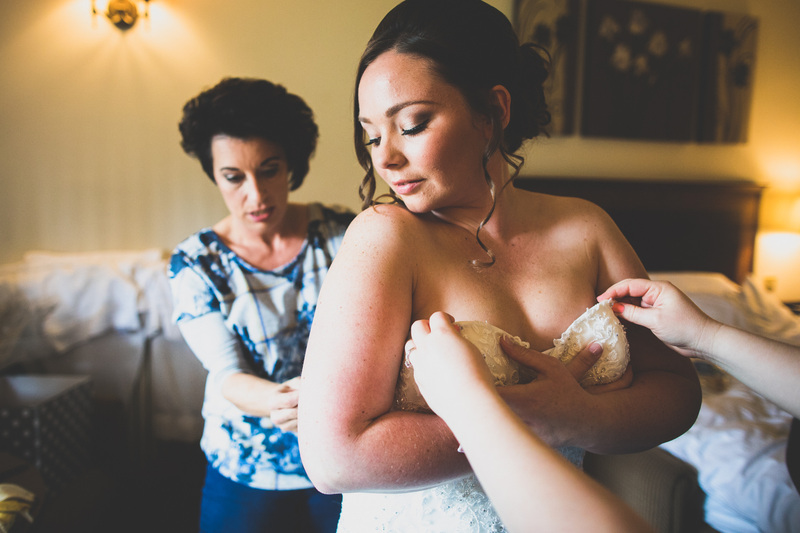 The wedding day began at the hotel, where they were getting ready in separate rooms. 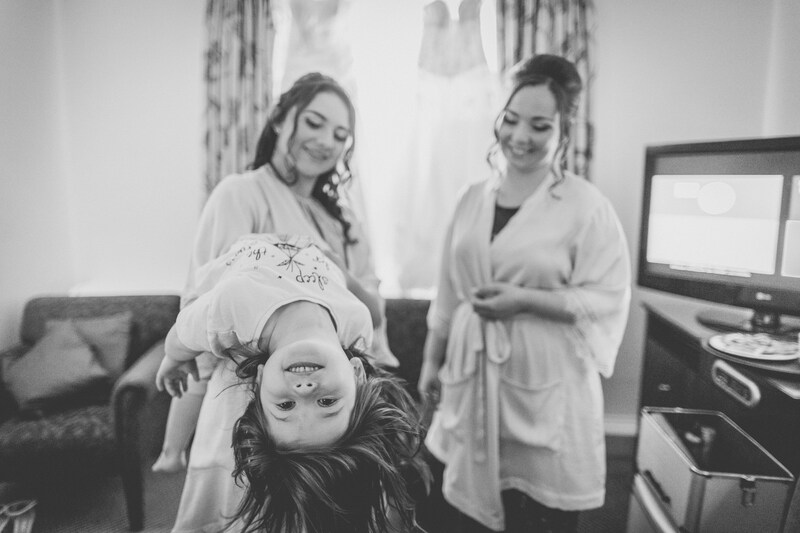 This was hilarious because I had to go room to room to see what was going on whilst trying to time it right with each bride! 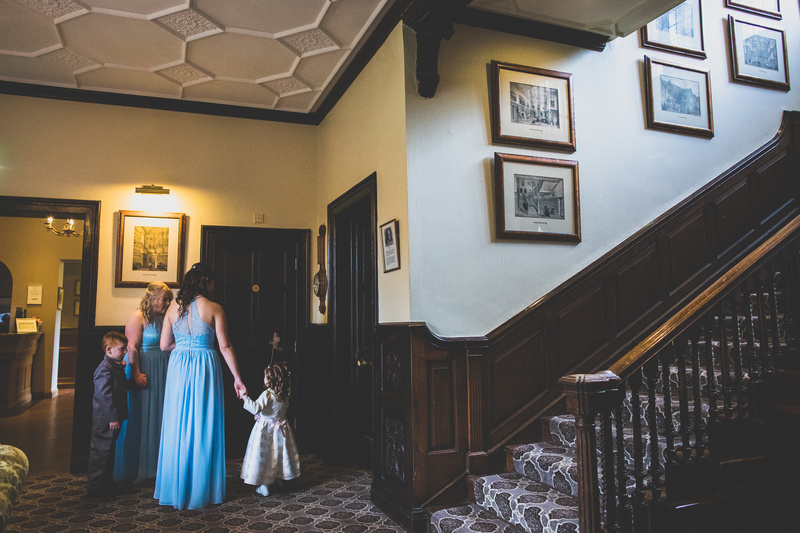 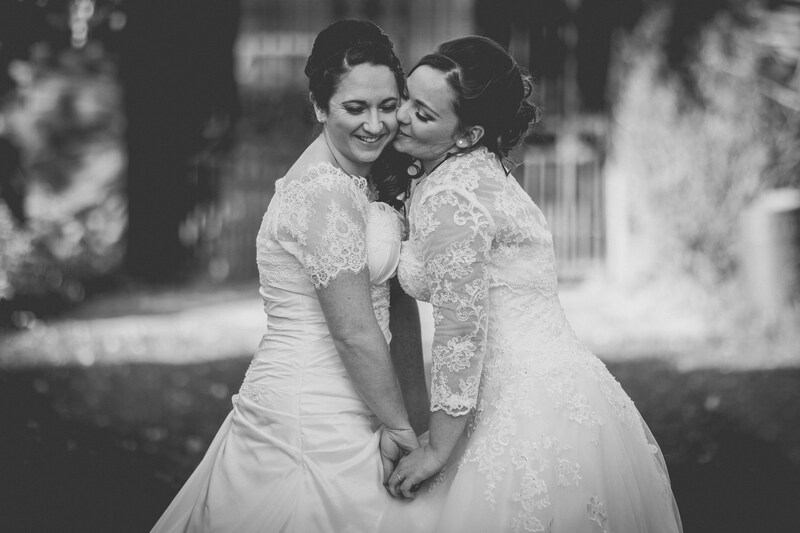 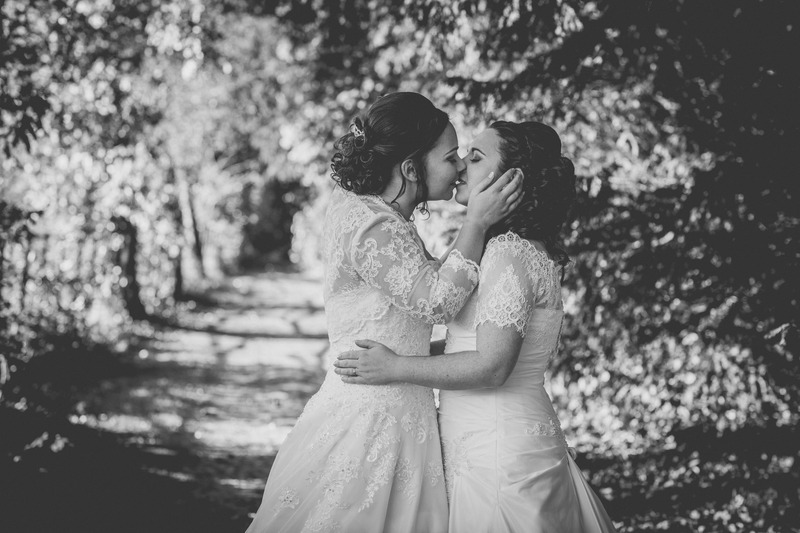 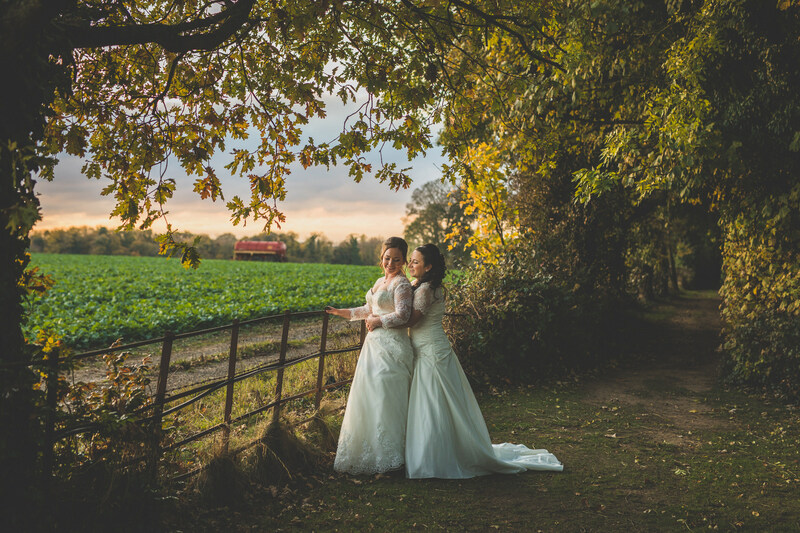 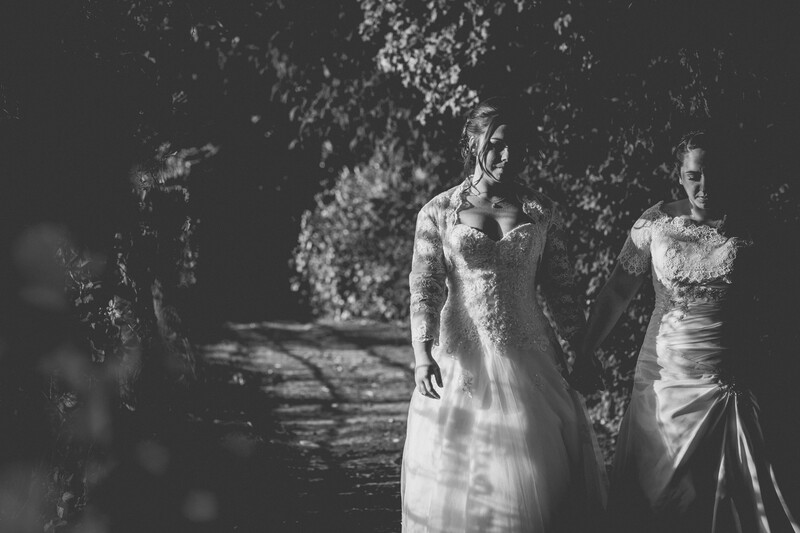 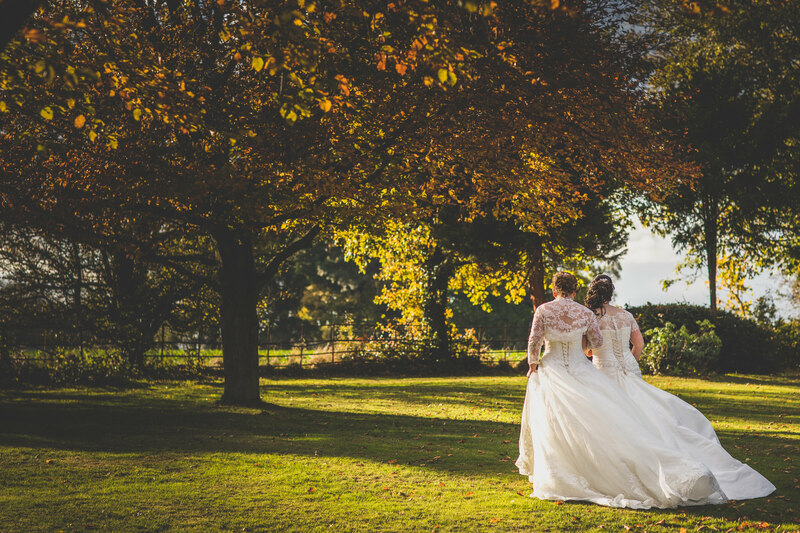 When both ladies had their stunning wedding dresses on, it was time to go downstairs for the ceremony. 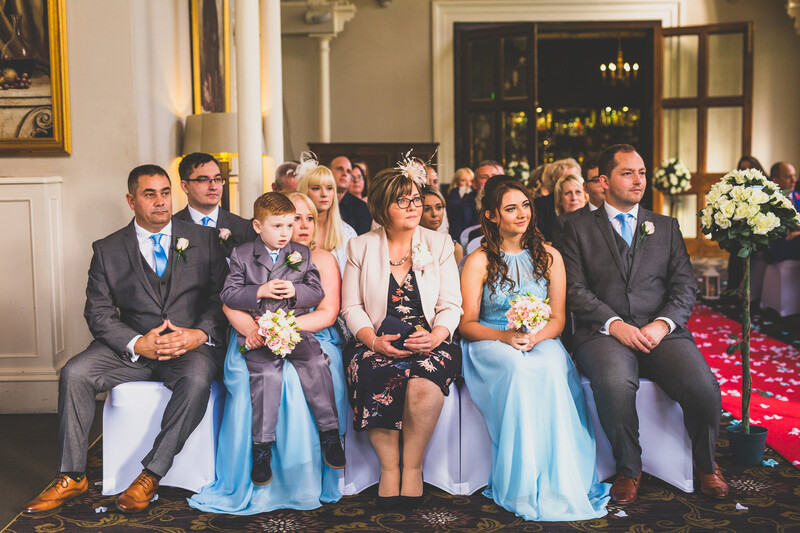 The ceremony was very relaxed and beautiful. 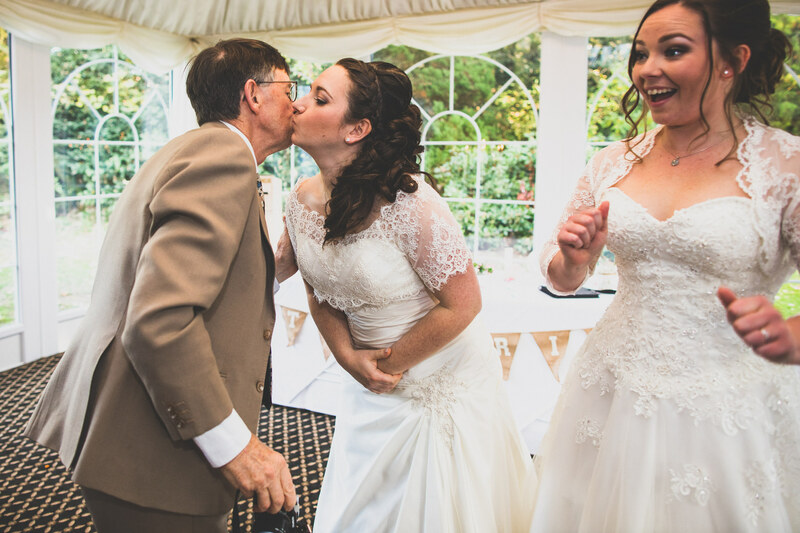 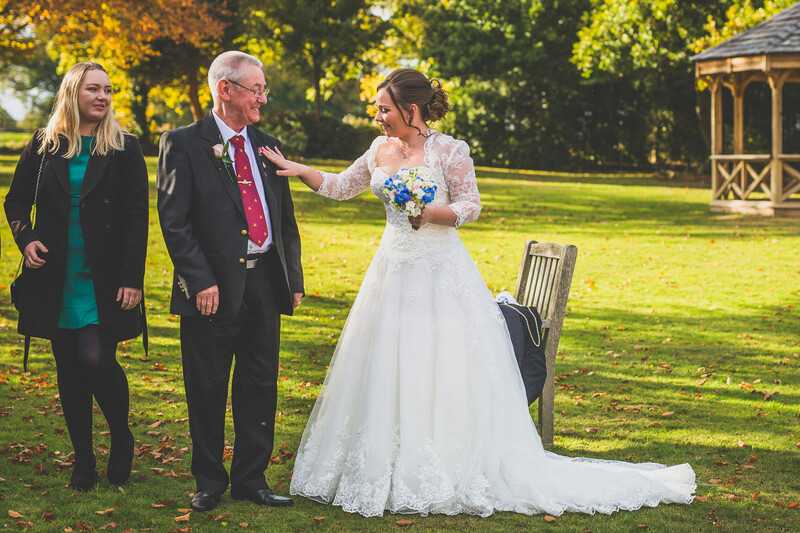 My favourite part of the day was watching Stacey walk down the isle accompanied by her very proud father. 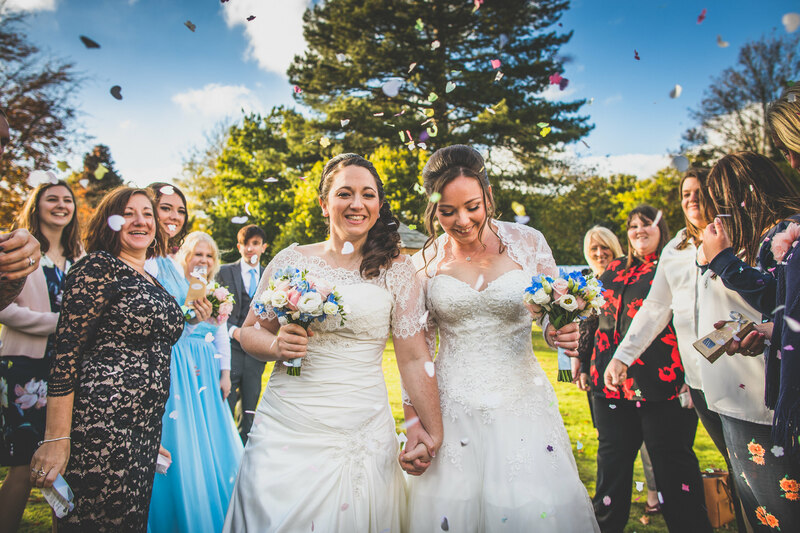 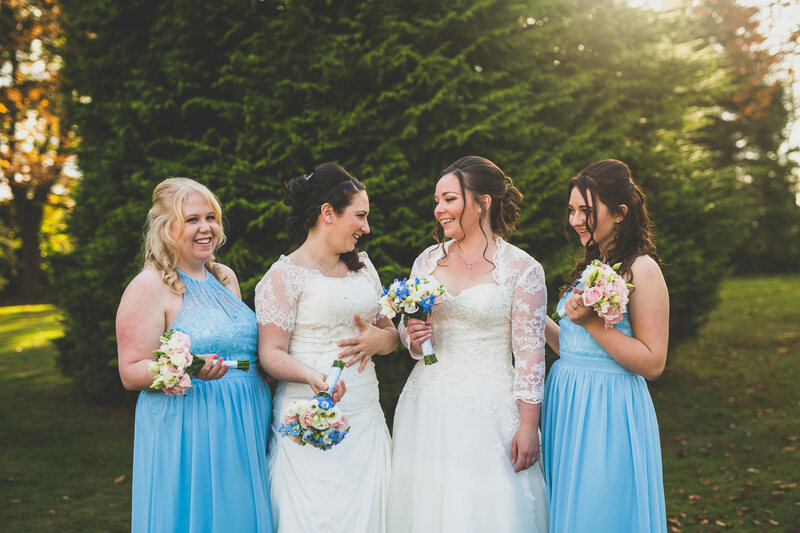 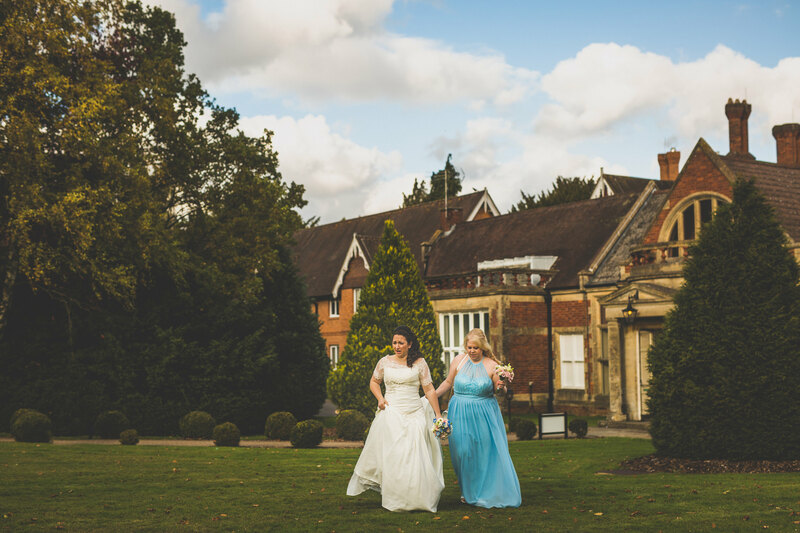 It was such a nice day with the clearest blue skies so after the formalities were over, everyone headed outside for confetti, photographs and canapés. 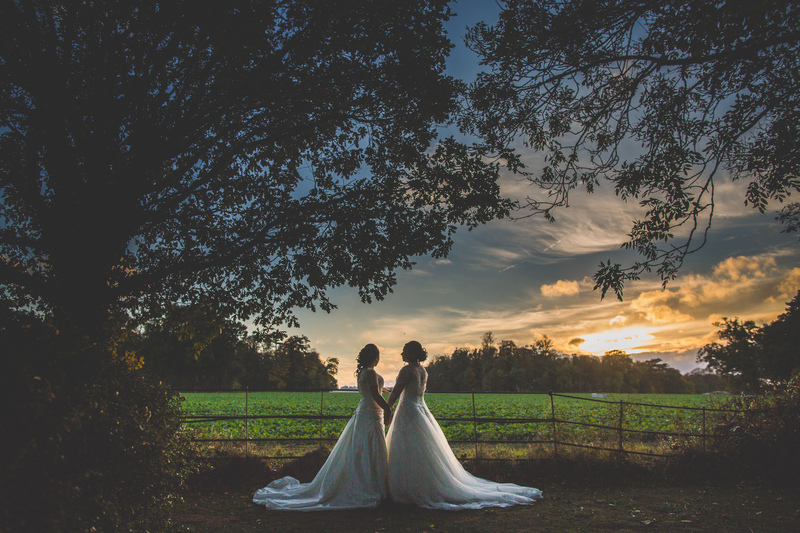 I was only with them for half a day so my time with them included the speeches and then right before I left, I noticed the most magical skies so grabbed Stacey and Kellie for a late afternoon walk. 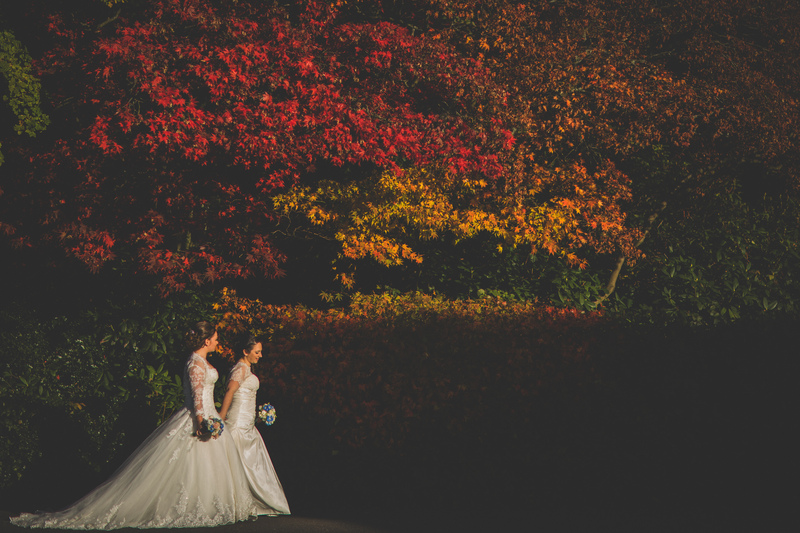 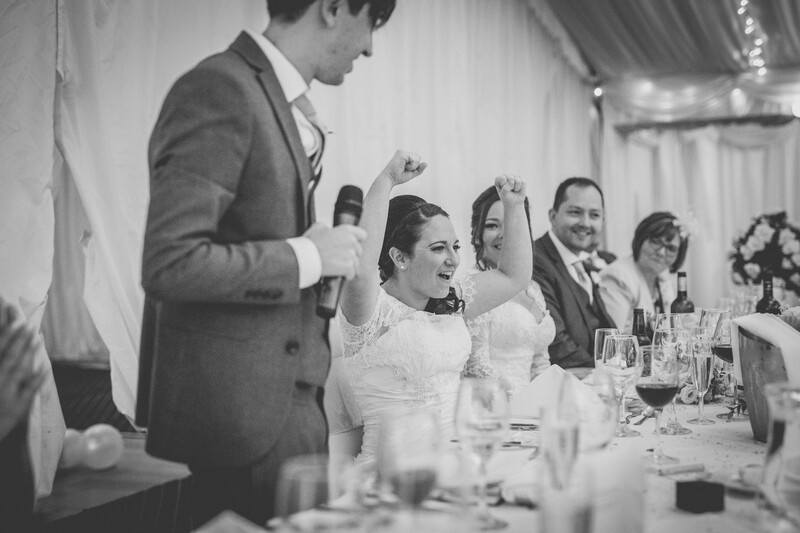 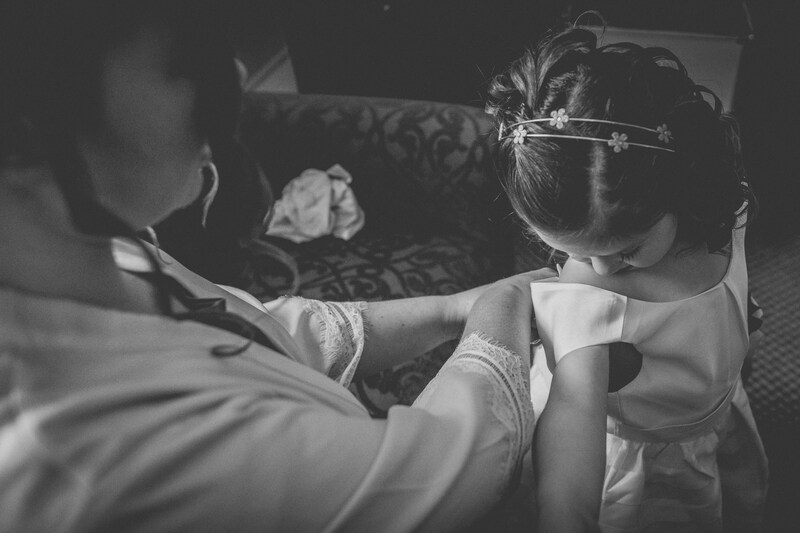 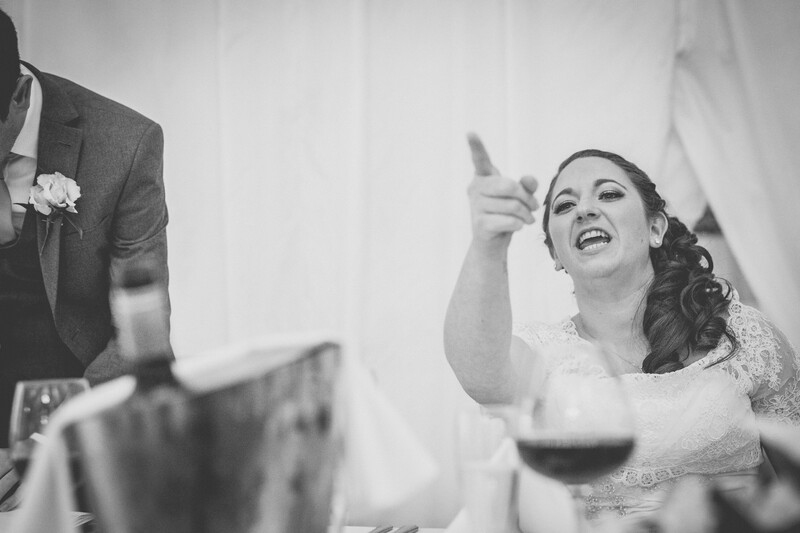 The resulting images are some of my favourites to date! 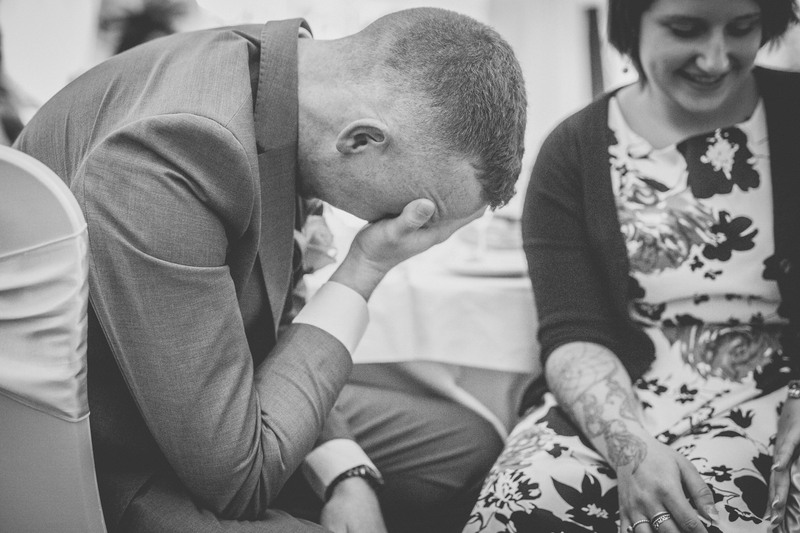 And that’s it, I’ll leave you with a selection of images from their wedding day.